It’s extended. Somewhat. 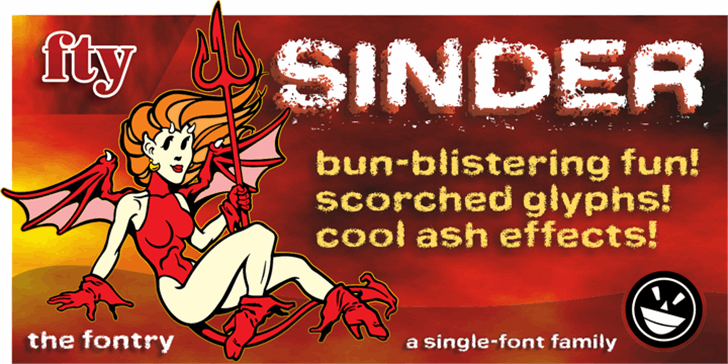 It’s fully kerned. That’s awesome! And it is rubbed down to the nub. Whuh??? That means it’s highly distressed, manually eroded on my work bench. Tortured further to open the wounds using my bitmap editor. Tweaked lovingly and built up to even higher standards of distortion in my vector program. 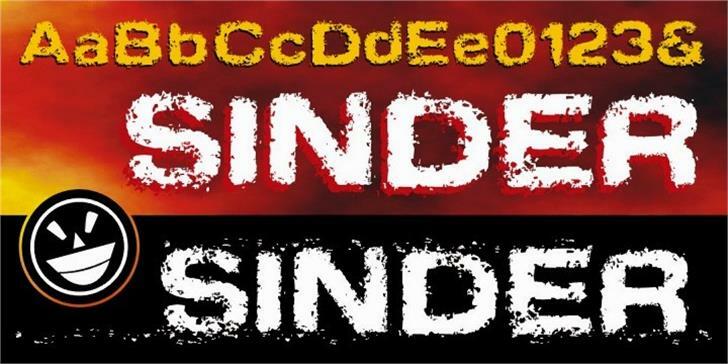 The end result is a font called Sinder. I've even included an “ash” effect. Using the bracket or brace left gives you ashes from left to right as you type your text. Finish your text with ash terminals by typing the bracket or brace right. But be careful. 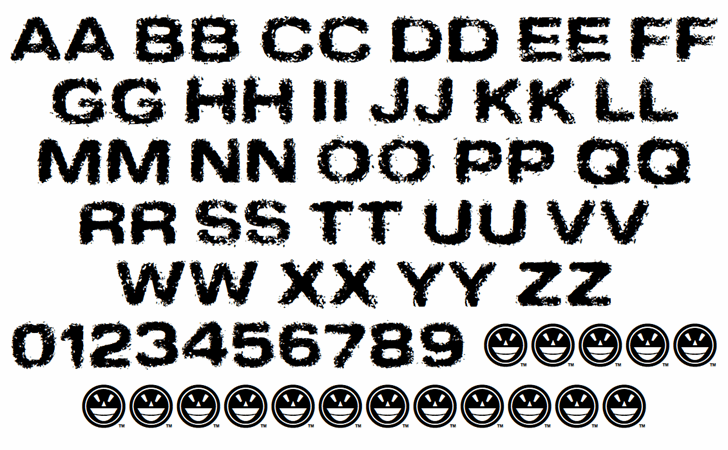 This font is a heavy duty downloader. Make sure all your programs are up to the task, especially before you go converting to vectors. This is a limited freeware version. If you opt to purchase the commercial version, it includes a complete character set and lowercase characters. 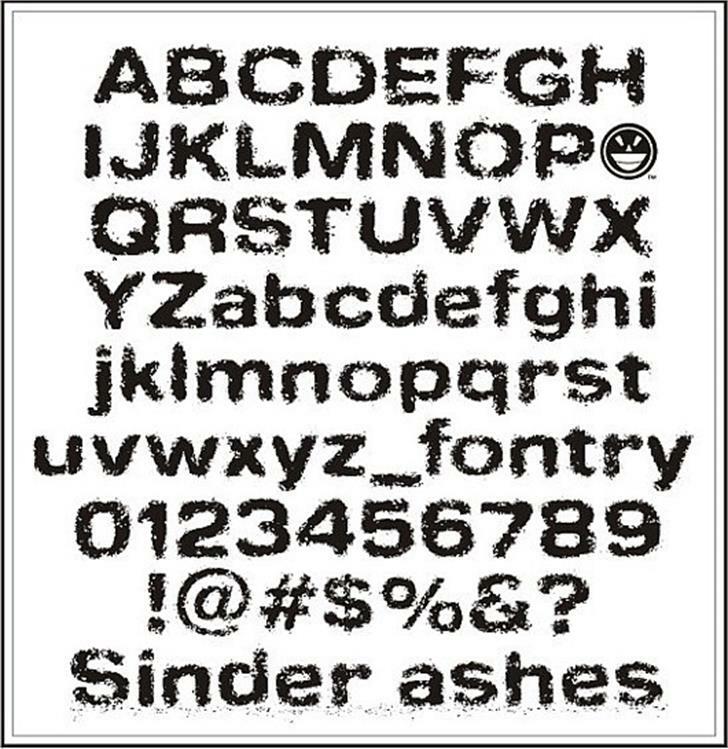 Sinder Normal is a trademark of The Fontry.